First and perhaps most importantly, draft two of Action Figures – Issue Five: Team-Ups is done and out to my test-readers! Hopefully I’ll hear back from all of them within the next couple of weeks so I can make my next round of revisions and ship it off to my editor Julie for her scrutiny. Julie is earning her money from me big-time, since she’s also in the middle of editing The Adventures of Strongarm & Lightfoot to get that ready for its late September/early October release. My big pile of books for two October events. Hope they all find new homes! Both books should be available for my two October appearances now on my calendar. In addition to my book-signing Sunday, October 4 at the Connecticut Renaissance Faire, I’ve added an authors roundtable event at the Sharon Public Library in Sharon, MA. On Thursday, October 8 at 7:30 PM (date and time tentative) I’ll join fellow genre fiction authors to discuss fantasy/sci-fi/horror fiction and sign copies of my books. 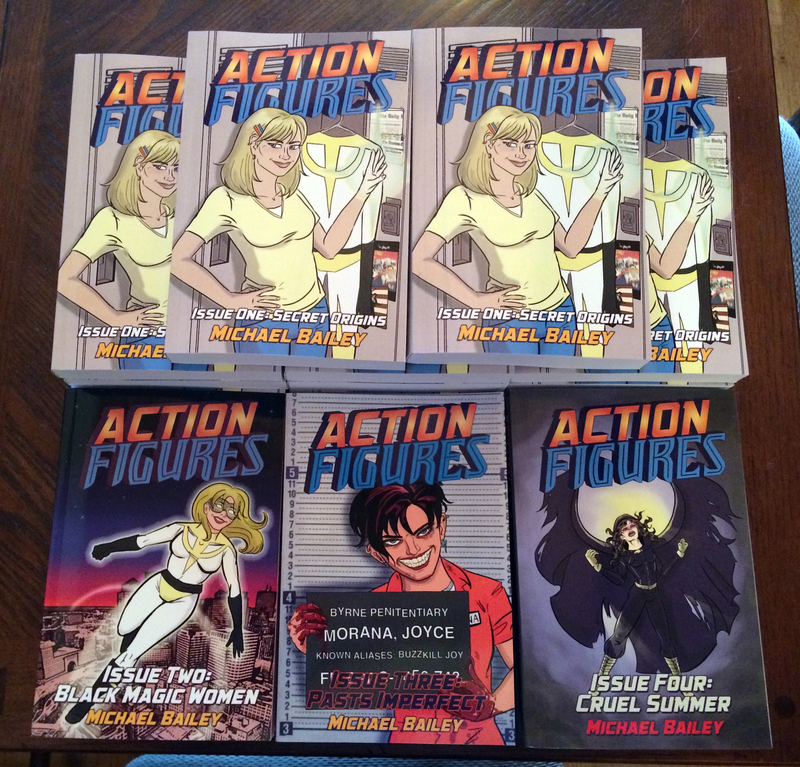 And by that time, I should be well into the first draft of my next book: Action Figures – Issue Six: Power Play!